Under New Ownership as of 2016! Recognized for our honesty and expertise. Palm Beach Pawn King, Inc. is a proud member of the National Pawnbrokers Association, the Jewelers Board of Trade, the National Association of Watch and Clock Collectors, the International Watch and Jewelers Guild and the Polygon Trading Network. 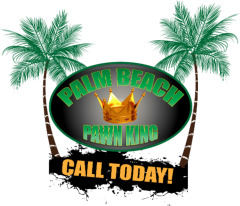 If you’re looking for a safe, honest, upscale location for your jewelry sale, pawn or purchase, Palm Beach Pawn King is the best pawn shop for you. It both looks and feels like a high-end jewelry store – because that’s what we are. We deal in the finest jewelry and watches, and take great care of customers who travel from across South Florida to do business with us. From Miami-Dade to Palm Beach County and beyond, we are the premier pawn and jewelry store in South Florida.